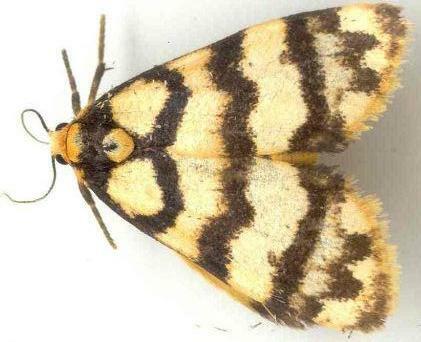 The adult moth of this species is yellow with 4 zig-zag black lines across each forewing. The wingspan is about 2.5 cms. The species occurs in Queensland. Volume 51 (1940), p. 77, No. 62.